"Lola" is a true showgirl! 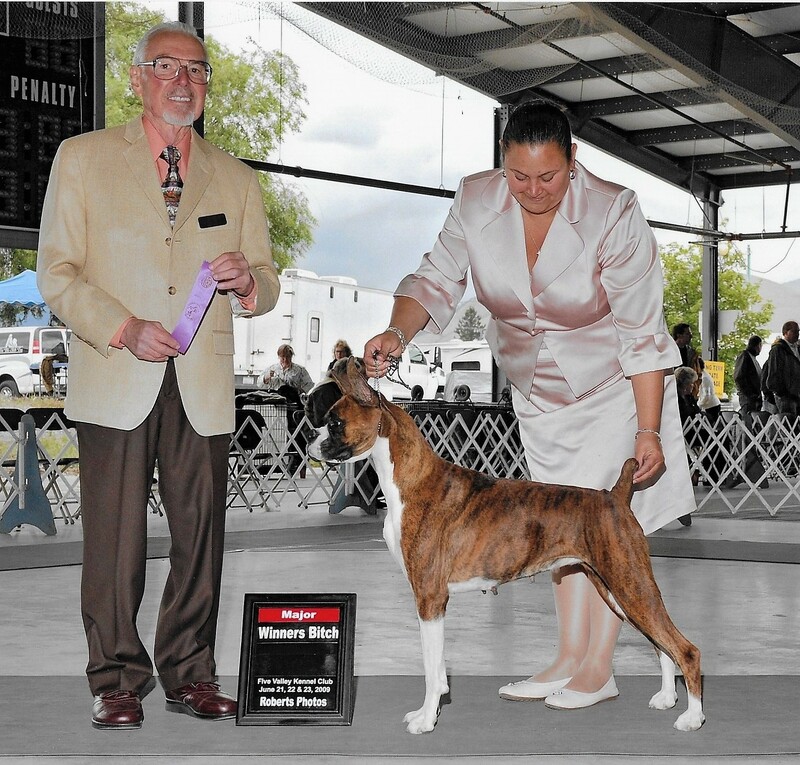 Lola went out with her handler Kimberlie right after ABC in May 2009 and finished in just one month garnering 3 majors wins in her short show career! 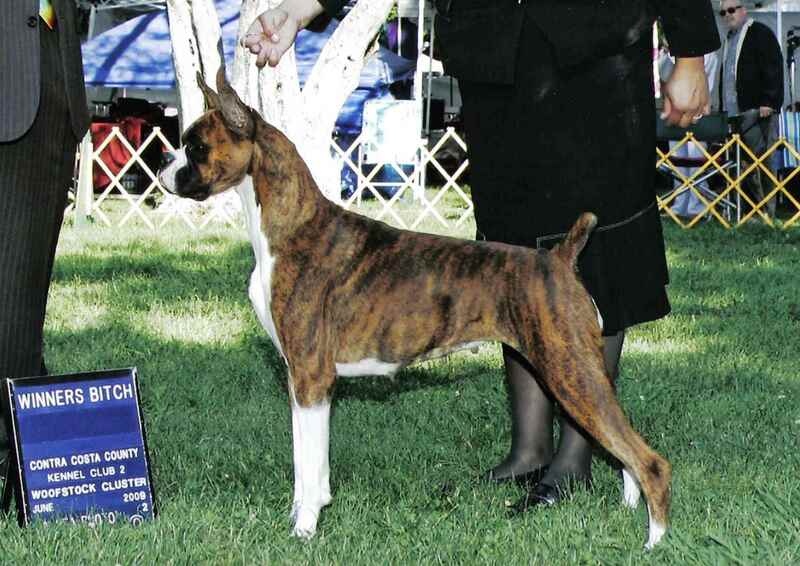 Lola is a beautiful rich brindle color with nice markings, and jet black on her mask. She has double dark haws and a nice tight wide bite. She is typey and balanced with a lovely long neck that flows smooth into her nice short back. She has gorgeous forechest and beautiful tight feet. She has an impeccable topline and nice high tail set. She has a wonderful fun loving temperament that makes her a joy to live with! 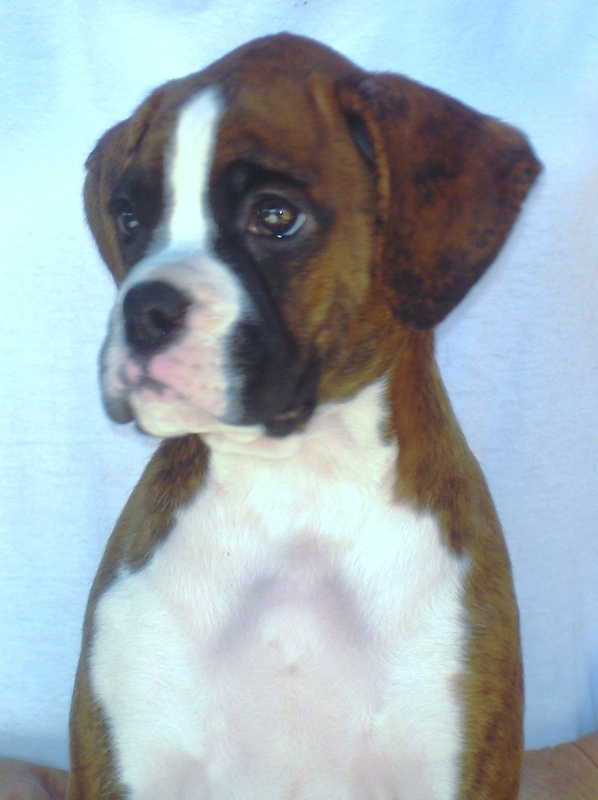 Thank you to Cheri Hill for breeding this beautiful litter and letting me bring her home. I remember thinking she was the prettiest and sweetest puppy ever...just a doll. Lola is loved and adored by our dear friends Signe Lindell and Maria Sanchez in Santa Fe, New Mexico who give her the life of a princess. "Lola" has been SAS cleared by Dr. Whit Church, DVM, ACVIM, Board Certified Cardiologist in Gilbert, Arizona and has passed her 24 hour holter monitor, is ARVC clear, and additionally her thyroid is normal.